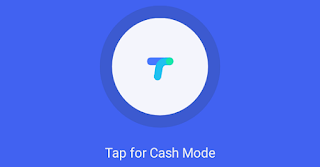 Google Tez Woohoo Free Rs 1000 Scratch Card Offer – Hello Readers, Hope you are well and enjoying our free recharge tricks and new free recharge apps. Craze of Tez app is not stopping here, again tez app is back with new scratch card offer on woohoo. If you are planning to buy gift card in this diwali so this tez offer for you guys. Now buy any brand Gift Card from Woohoo web and get Upto Rs 1000 Scratch Card on Tez App free of cost. Here is another Diwali offer by Google Tez App. Celebrate this Diwali with Tez, Now shop woohoo gift card with Tez app and Tez will give you return back your money. They are giving away free scratch card in which you can get Upto Rs 1000. To get Tez scratch card just buy Minimum Rs 1000 Gift Card from Woohoo & Get Upto Rs 1000 in Tez App. This is Big Tez Diwali Offer So don’t miss this deal . Note – If You are using Tez App for the first time you can earn free Rs 51 On Signup. **How to Get Tez Scratch Card From Woohoo ? 2. Now buy any Brand Gift Card of Rs 1000 or More. 3. After that Proceed to Payment. 4. At the payment page Select Tez as a payment mode. 5. Now Enter Tez UPI id & Make Payment. 6. After the successful payment you will get your Rs 1000 Gift Card on Your Email ID. 7. Now open Tez App in your mobile & Go to Rewards & Scratch Your Card. That’s it, You will get any random amount from Rs 1 to Upto Rs 1000 in Tez Scratch Card in Your Tez App. 1. You must successfully make a transaction using the Tez app worth at least Indian Rupees One Thousand (INR 1,000) on the Woohoo app or website. 2. You can earn a maximum of one reward for this offer. Each reward will be eligible to win up to Indian Rupees One Thousand (INR 1,000). 3. If you win a prize, your prize money will be deposited into your bank account. As such, you must have a UPI-enabled savings account attached to your Tez account to receive payment from Google. Please be sure to link your UPI enabled savings account to your Tez account within 45 days of claiming the reward. If you fail to do so, you may forfeit the reward. 4. This offer is valid from October 15, 2017 (9:00:00 AM) until October 22, 2017 (11:59:59 PM). 5. Employees, interns, contractors, and office-holders, as well as their immediate families (parents, siblings, children, spouses, and life partners of each, regardless of where they live), of Google LLC, its affiliates and subsidiaries, and any representatives or agencies of Google or other persons professionally connected with the offer are not eligible to participate. 6. This offer is not available to the residents of the state of Tamil Nadu (as per Tamil Nadu Prize Scheme (Prohibition) Act 1979) and wherever else prohibited by Law. Residents of these States, should not participate in this offer.